I finally got my Beagleboard shipped in. 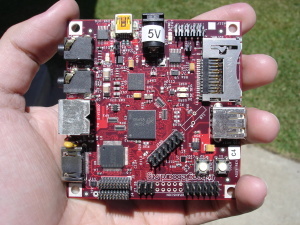 Its the single board computer as part of the Android dev kit. I’ll post pics soon. Still trying to get the DVI out working. BeagleTouch works though.